On other gaming fronts, we recently finished the Rogue Trader RPG campaign that I've been running, and my friend Dave has offered to run a Dark Heresy campaign for a while, so I also painted up an Anima Tactics model for use as my Sanctioned Psyker. It was a nice change of pace to work on! At this point I'm struggling to stay motivated on the World Eaters, so I rooted around in the Closet of Doom for some other small project to work on for a bit. Next up on the painting desk is a unit of Iron Hands bikers. I figured painting a mostly-black unit would be a good counterpoint to the mostly-white of the World Eaters! Really nice models as ever; in particular the green light effect on the Anima Tactics model is really something! As for the change of pace, whole-heartedly agree there. My own Mordians have been put on the back burner so I can do some conversions/historical and refresh a bit. Great work all round. As for the fires, here in the UK we've got floods so perhaps we could send some spare water your way ... hope everything turns out okay. Good work again boss. Lets hope 6th ed has some nice things in store for the World Eaters :-). @Colonel_Scipio - I usually have 3-4 projects lurking in the Closet of Doom at any given time, having an alternate batch of models to work on definitely keeps the hobby fresh! I'll trade you some floodwater to put out fires with some of our heat to help dry things out over there! @Col. Dracus - Indeed, I'm really looking forward to the new rule set. The one rule change that sounds like it could make the WE really mean is the +2A on the charge from Rage. Those 16 Berzerkers suddenly became much more frightening! @Damn The Valley - Aye, I live just north of The People's Republic of Boulder (aka "25 square miles surrounded by reality", heh). 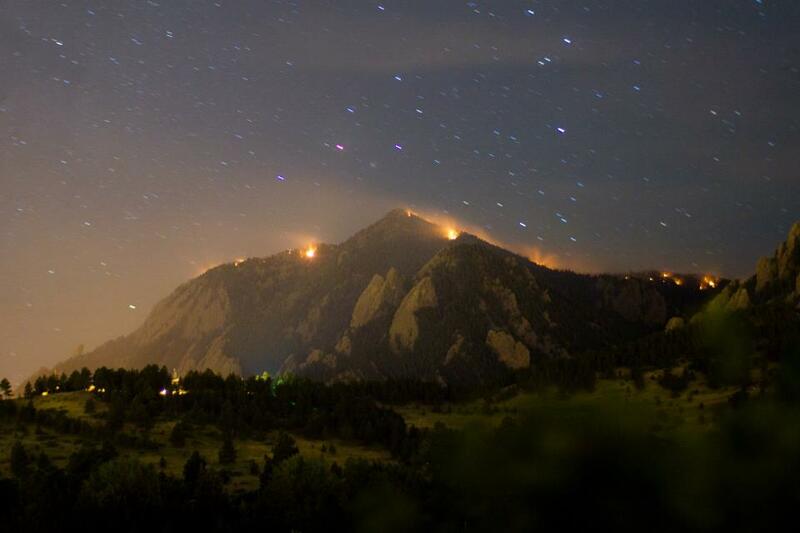 Been watching the progress of the Waldo Canyon fire and it is terrifying. Hopefully they'll get the Flagstaff fire taken care of soon so the firefighters battling up here can get down your way to help out. Stay safe down there, my man! Hope those brave fire-fighters soon douse the flames, stay safe mate & nuff respect for the continued hobby work & awesome if somewhat disturbing photo. Hah! Thanks Bix - I definitely got a chuckle out of that! Love that first photo - terrifyingly awesome power of nature, lets hope the firefighters douse it before you or your friends houses are affected. Nice OSL on the sorcerer dude too. Be safe brotha, hope all is well! Sorry to hear about the fires bro. Loving that sanctioned psyker idea!